An effective DUI defense strategy can be to argue that the results of the breath or blood test were not accurate and that, consequently, the DUI charges should be dismissed. The breathalyzer was not properly calibrated prior to using it on the accused. The breathalyzer was not among the legally approved machines that police are required to use in the field. The responding officers did not know how to properly use the breathalzyer. The responding officers did not wait 20 minutes after the accused individual regurgitated before administering the breathalyzer. For blood tests, it could be argued that the cops and/or lab analyzing the blood samples did not properly handle the samples (i.e., broke the chain of custody), which opens up the possibility that the samples could have been contaminated. Officers did not operate checkpoints according to the necessary legal standards – While the U.S. Supreme Court has ruled that DUI checkpoints are legal, police are still required to operate these checkpoints according to some very specific rules. 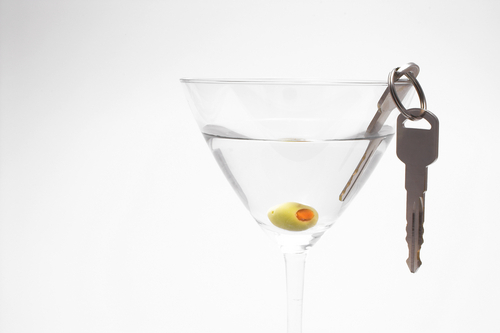 When police fail to abide by any one of these rules, the resulting DUI charges against the accused can be dropped altogether. Regardless of whether you are facing criminal charges for the first time, have prior convictions and/or were on probation or parole at the time of the alleged crime, Christopher Griffin will work relentlessly to help you obtain the best possible outcome to your case. In fact, our steadfast dedication to the notion that the accused are innocent until proven guilty means that we will do everything in our power to help you resolve your case in the most favorable and efficient manner possible.